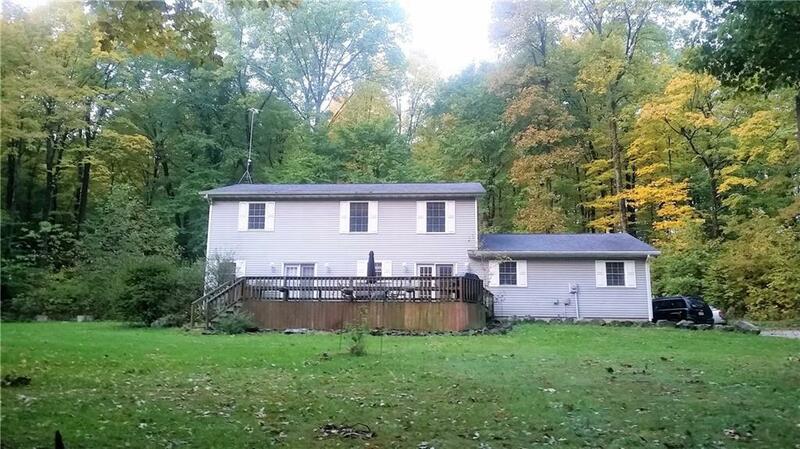 If you are looking for seclusion, than take a look at this 4 bedroom, 2.5 bath home located on 15 acres , 13 wooded & 2 acres tillable. . Home features a large eat-in kitchen w/ hickory cabinetry, pantry & ceramic floor, lg living room,, master bedroom suite & bath that has Jack & Jill sinks, shower and Jacuzzi tub, plus laundry& half bath, all on main floor. Upper floor has three bedrooms, a large game room, & full bath.. The large deck, over looks the lawn, w/ an entry into kitchen or bedroom through the patio doors. Plus a three car attached garage, 36x42 heated pole barn, Home and barn heated by outside wood furnace, Plus a wood shed, . Close to I-70 & St. Rd 243 .